Oxford and Tübingen scientists have identified what they believe are the world’s oldest known musical instruments. In their paper in the Journal of Human Evolution, the scientists report new results of radiocarbon dating for animal bones, excavated in the same archaeological layers as the musical instruments and early art, at Geißenklösterle Cave in the Swabian Jura of southern Germany. 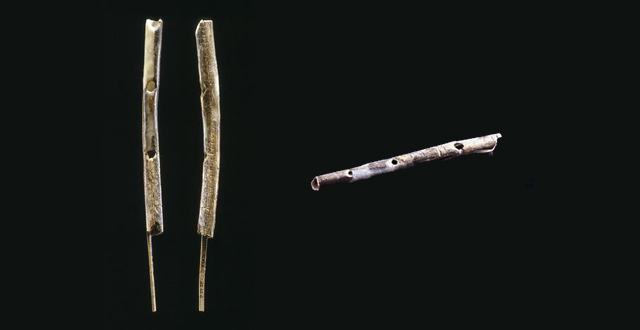 The musical instruments take the form of flutes made from the bird bones and mammoth ivory. The animal bones bear cuts and marks from human hunting and eating. They were excavated at a key site, which is widely believed to have been occupied by some of first modern humans to arrive in Europe. New dates from Geißenklösterle Cave in Southwest Germany document the early arrival of modern humans and early appearance of art and music. The first modern humans in Europe were playing musical instruments and showing artistic creativity as early as 40,000 years ago, according to new research from Oxford and Tübingen universities. The researchers have obtained important new radiocarbon dates for bones found in the same archaeological layers as a variety of musical instruments. The instruments take the form of flutes made from the bird bones and mammoth ivory. They were excavated at a key site in Germany, which is widely believed to have been occupied by some of first modern humans to arrive in Europe. In a paper published in the Journal of Human Evolution, the researchers describe the new dating results for animal bones, excavated in the same archaeological layers as the instruments and early art, at Geißenklösterle Cave in the Swabian Jura of southern Germany. The animal bones bear cuts and marks from human hunting and eating. Archaeologists are to exhume and analyse human bones found under a prehistoric monument only recently identified as a burial site cap. The Trefael Stone in Pembrokeshire was thought to be just one of many linked to nearby Bronze Age locations. 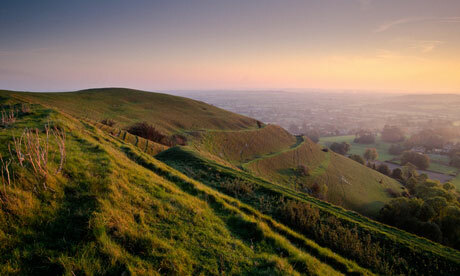 But it has now been reclassified after a survey established it as the capstone of a Stone Age ritual burial chamber. You could almost say that Prague keeps getting older. Not long ago, archaeologists found evidence of the oldest ploughed field here, tended five and a half thousand years ago. 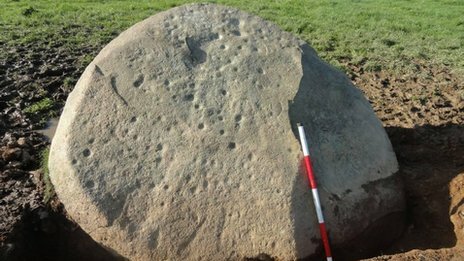 Now the imprints of structures have been found in the same location, dating back even further, some 7,500 years. The dates of the earliest settlements in the area of Prague are continuously being pushed back – just about anytime someone puts a shovel to the northern district of Bubeneč. The spot in the bend of the Vltava river apparently offered an unparalleled living space, a river terrace with fresh water in plenty, defence on three sides and fertile land. The site makes headlines again and again as the ground yields up fascinating finds from the mysterious peoples who inhabited Central Europe before the Europeans. That they farmed in at least 3500 BC, and that they lived there long before that, is well known. Now though comes the first hard evidence of a settlement as old as agriculture on the Nile, from around 5500 BC. 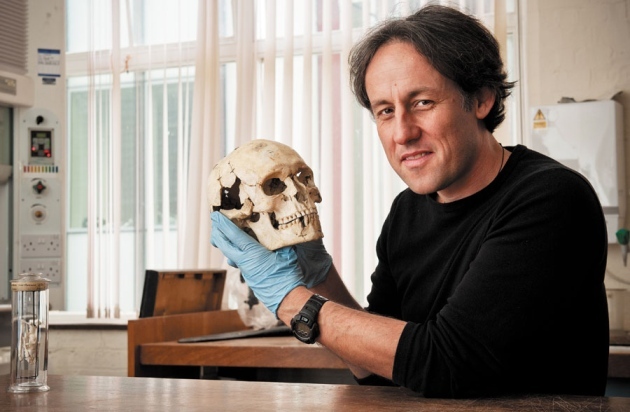 Radek Balý is the director of the Czech Archaeological Society and heads the team that made the find. A five-year collaborative project between Cardiff University and English Heritage that aims to construct a more precise chronology of Neolithic civilisations in Europe has just been awarded €2.5M from the European Research Council. The Times of Their Lives, led by Professor Alasdair Whittle of the and Dr Alex Bayliss of English Heritage builds on the ground-breaking success of combining expertise in Neolithic archaeology and Bayesian statistical analysis in mapping a precise chronology of causewayed enclosures, a type of early Neolithic earthwork, in Britain. Causewayed enclosures are known prehistoric features, but up to now it has been thought that they spread slowly across Britain over five centuries. Using the new technique, Professor Whittle and Dr Bayliss have already shown that this new class of huge monuments spread rapidly all over southern Britain in a short span of 75 years, starting from the Thames Estuary through Kent and Sussex, and then west, on an intense scale that was not apparent before. The new knowledge that this happened in a flurry within two to three generations has revolutionised the way prehistory is understood and studied in Britain, and has prompted wide interest around the world. Flag Fen will live again this summer when archaeological experts will work tool by tool with wannabes for the first time. John Baker dug in to find out more about the world’s first ever crowd sourced and crowd funded excavation. The Bronze age site off Northey Road will be flooded again in July and August, this time with people hoping to uncover secrets before time runs out completely. DISCOVERED by Time Team’s Francis Pryor, who lives in Sutton St James, the site has a fantastic national and international reputation, but is not really held in the same regard by the people of Peterborough. Legend has it that Francis was on his way to the pub in 1982 when he stumbled over a piece of wood near a Fenland ditch on the outskirts of Peterborough. The markings on that piece of timber looked unusual and were soon confirmed as dating from around 1000 BC – and from Francis’ serendipity a legend was born. "This place has never been empty..."
"Since the discovery in 1999, of a large settlement site from Early Stone Age (ca 6 000 -- 4 000 BC) close to the river Motala ström, the Swedish National Heritage Board has conducted archaeological excavations north and south of the river. Among other artifacts the site provides a rich and multifaceted material of bone and antler, which is very rare for this type of Stone Age excavations. This is due to the exceptionally good conditions for preservation. Artifacts found in anaerobic, cool and moist contexts appear to be manufactured yesterday and not to have been deposited in layers of gyttja for 7 000 or 8 000 years. The structure of the excavated area and the multifaceted artifacts in combination with the projects inter disciplinary constitution creates widening scopes of interpretation of how the site was used, and also broadens our perception of Early Stone Age society." The video is about 18 mins long and has English sub-titles. The cross-breeding of dogs has made it difficult to trace the genetic roots of today's pets, according to a new study. Scientists from Durham and Aberdeen analysed data from the genetic make-up of modern dogs while assessing the archaeological record of dog remains. They found that modern breeds genetically have little in common with their ancient ancestors. The scientists believe their research could offer new insights into dog domestication and its evolution. Current Archaeology now has a dedicated news editor in-house, and the news articles are now posted on our website as the stories break rather than simply published in the magazine. You can also subscribe to receive an email newsletter, and there are RSS feeds for your newreader as well. 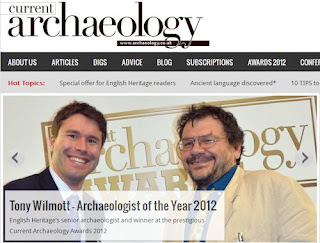 The Current World Archaeology website has also been updated. Ancient rock art has been likened to a prehistoric form of Facebook by a Cambridge archaeologist. Mark Sapwell, who is a PhD archaeology student at St John’s College, believes he has discovered an “archaic version” of the social networking site, where users share thoughts and emotions and give stamps of approval to other contributions – similar to the Facebook “like”. 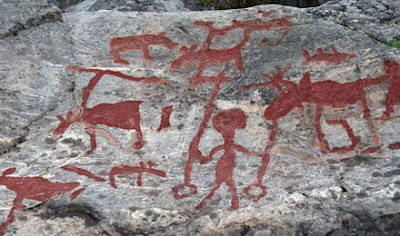 Images of animals and events were drawn on the rock faces in Russian and Northern Sweden to communicate with distant tribes and descendants during the Bronze Age. They form a timeline preserved in stone encompassing thousands of years. Warfare Began with Human Hunter-Gatherers? Author Robert Ardrey's* popularization of the theory that modern humans are in part a product of their violent primate ancestral past may have some merit, with a twist, according to Dr. Christopher Boehm, Director of the Jane Goodall Research Center at the University of Southern California. In a review published in the May 18, 2012 issue of the journal Science, he suggests that, though the common ancestor to modern-day chimpanzees, bonobos and humans may have used conflict to solve problems and achieve objectives, it was not until the later human hunter-gatherers that the more organized, full-scale features of aggression and conflict that define actual warfare developed. Boehm (pictured right) draws this insight based on comparative behavioral studies among humans and their closest genetic relatives, the chimpanzees and the bonobos. Chimpanzees and other apes, like humans, have been observed to exhibit violence as a means of addressing their environment or relating to others. Bonobos, although not strangers to conflict and violence, have been observed as beng significantly less agressive. The characteristics common to warfare, however, which include the application of social, organizational and technological skills not found among non-human primates, were observed first only among human hunter-gatherer groups. One of the most compelling -- and enduring -- mysteries in archaeology concerns the rise of early humans and the decline of Neanderthals. For about 250,000 years, Neanderthals lived and evolved, quite successfully, in the area that is now Europe. Somewhere between 45,000 and 35,000 years ago, early humans came along. They proliferated in their new environment, their population increasing tenfold in the 10,000 years after they arrived; Neanderthals declined and finally died away. What happened? What went so wrong for the Neanderthals -- and what went so right for us humans? Die vor fünf Jahren im Abri Castanet in Südfrankreich entdeckten Felszeichnungen und Gravuren dürften mit einem Alter von 37.000 Jahren zu den ältesten bekannten Wandmalereien zählen. Die außergewöhnlichen Zeichnungen in der Grotte Chauvet sind mindestens 21.000 Jahre alt, wie eine neue Studie erbrachte. Mas d’Azil is an immense cave and is one of the major prehistoric sites in France. Classed as an historic monument since 1942, it is also a very popular tourist site. The construction of a visitor centre and site path by the commune of Mas d’Azil requires archaeological intervention and two phases have already been completed. The first; a trench to house the buried pipes that traverse the road and the second; the visitor centre located inside the cave. The first research at this site was carried out in 1860 with Félix Garrigou presenting the general stratigraphy in 1867. Twenty years later, Édouard Piette conducted extensive excavations. Throughout these years, thousands of flint tools and hundreds of portable art objects were recovered. The oldest agricultural settlement ever found on a Mediterranean island has been discovered in Cyprus by a team of French archaeologists involving CNRS, the National Museum of Natural History, INRAP, EHESS and the University of Toulouse. Previously it was believed that, due to the island's geographic isolation, the first Neolithic farming societies did not reach Cyprus until a thousand years after the birth of agriculture in the Middle East (ca. 9500 to 9400 BCE). However, the discovery of Klimonas, a village that dates from nearly 9000 years before Christ, proves that early cultivators migrated to Cyprus from the Middle Eastern continent shortly after the emergence of agriculture there, bringing with them wheat as well as dogs and cats. 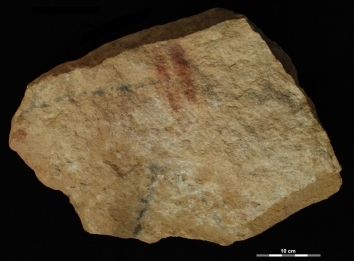 A massive block of limestone in France contains what scientists believe are the earliest known engravings of wall art dating back some 37,000 years, according to a study published Monday. The 1.5-metric-ton ceiling piece was first discovered in 2007 at Abri Castanet, a well known archaeological site in southwestern France that holds some of the earliest forms of artwork, beads and pierced shells. According to New York University anthropology professor Randall White, lead author of the paper in the “Proceedings of the National Academy of Sciences,” the art was likely meant to adorn the interior of a shelter for reindeer hunters. 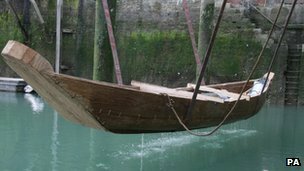 A replica Bronze Age boat made in Kent is being repaired after it started to sink on its first voyage. The vessel, which is called Boat 1550 BC, was lowered into Dover Harbour on Saturday but started to leak before it could get under way. The boat, which has taken three months to construct, is made of wood and is half the size of the original boat unearthed in Dover in 1992. The way the planks were joined together is thought to have caused the problem. The maiden voyage of a replica Bronze Age boat made in Kent had to be aborted when it failed to stay afloat. The vessel, which is called Boat 1550 BC, immediately began to take on water when it was lowered into Dover Harbour. The boat is half the size of an original Bronze Age boat which was unearthed in Dover in 1992. A Canterbury Christ Church University spokeswoman said: "It didn't go to plan so we had a bit of a naming ceremony instead." A replica of a Bronze Age boat created by British craftsmen and archaeologists failed to float when it was launched, officials said. Crowds gathered in Dover Saturday to watch the launching of the replica boat, Kent Online reported. The team that built the boat worked on it for several months using the same tools and methods employed during the Bronze Age 3,500 years ago. However, before a team of rowers boarded the vessel, it began to sink. The boat started listing minutes after it was lowered into the Dover Marina and had to be hoisted back out. The band was ready, the champagne was on hand, Time Team's Tony Robinson was there to record the historic event, and the crowds gathered to watch as a half-size replica of Dover's Bronze Age boat prepared to take to the water. The only problem was, it started to sink. A team of craftsmen and archaeologists had been working for several months to build the replica boat, using the same tools and the same methods as their ancestors would have used when the original boat was built more than 3,500 years earlier. But time was against them,. They only completed the task a couple of hours before the launch was due to take place and there was no time to test it. A team of rowers, complete with life-jackets, were waiting to go on board, but they were not needed. Two skulls with perforations have been exhumed in the area of Gormaz in Soria, Spain by researchers from the universities of Oviedo and Leon. They have been dated to the 13th and 14th centuries – a period in which trepanation was not commonly practised. Trepanation has been around for a very long time. The earliest examples found go back to the beginning of the Neolithic Period some 10,000 years ago. There are even authors who suggest that such iatrogenic practices (induced by physicians) began at the end of both the Palaeolithic Period and the Mesolithic Period some 12,000 years ago. Nonetheless, little evidence exists for later periods, such as the Middle Ages. The two skulls in Soria trepanned for medical purposes between the 13th and 14th centuries are therefore a surprising finding. They were discovered in the area surrounding the San Miguel hermitage in the area of Gormaz by researchers from the universities of Oviedo and Leon. “As of the Bronze Age, cases of trepanation are common throughout Europe, mainly in the Mediterranean Basin. In the Iberian Peninsula there are many cases that have been dated back to the Copper Age some 4,000 years ago. However, our scientific literature lacks much more in the description of trepanation during the Middle Ages,” explains SINC Belén López Martínez, researcher and the University of Oviedo and co-author of the study. They were the stone-age equivalent of Glastonbury festival. People gathered in their hundreds to drink, eat and party every summer at revelries lasting several days and nights. Young men met women from nearby communities and married them. Herds of cattle were slaughtered to provide food. These neolithic carousals even had special sites. They were held on causewayed enclosures, large hilltop earthworks built by our forebears after they brought farming to Britain from the continent 6,000 years ago. This picture of ancient British bacchanalia has been created by researchers led by Professor Alasdair Whittle of Cardiff University and Dr Alex Bayliss of English Heritage. Using a revolutionary technique for dating ancient remains, they have built up a detailed chronology of the first farmers' arrival in Britain and have shown that agriculture spread with dramatic rapidity. In its wake, profound social changes gripped the country, culminating in the construction of causewayed enclosures where chieftains or priests held revelries to help establish their power bases. Archaeologists have uncovered evidence of pre-farming people living in the Burren more than 6,000 years ago — one of the oldest habitations ever unearthed in Ireland. 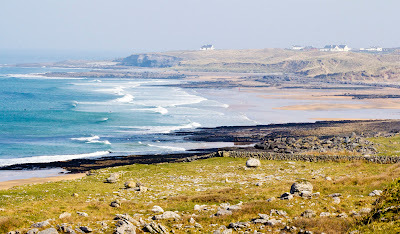 Radiocarbon dating of a shellfish midden on Fanore Beach in north Clare have revealed it to be at least 6,000 years old — hundreds of years older than the nearby Poulnabrone dolmen. The midden — a cooking area where nomad hunter-gatherers boiled or roasted shellfish — contained Stone Age implements, including two axes and a number of smaller stone tools. 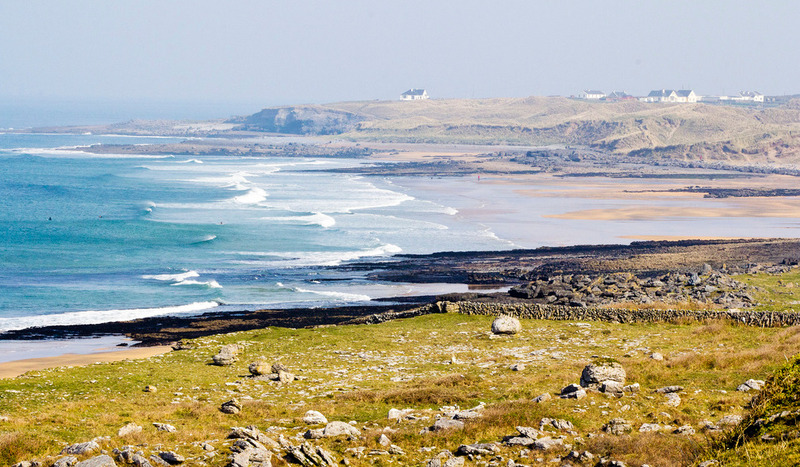 Excavation of the site revealed a mysterious black layer of organic material, which archeologists believe may be the results of a Stone Age tsunami which hit the Clare coast, possibly wiping out the people who used the midden. Refugees from the Ice Age: How Was Europe Repopulated? Scientists have used DNA analysis to gain important new insights into how human beings repopulated Europe as the Ice Age relaxed its grip. Dr Maria Pala, who is based at the University of Huddersfield -- now a key centre for archaeo-genetics research -- is the lead author of an article in the latest issue of the American Journal of Human Genetics which shows how the Near East was a major source of replenishment when huge areas of European territory became habitable again, up to 19,000 years ago. Until the new findings, it was thought that there were two principal safe havens for humans as the Ice Age, or Last Glacial Maximum, descended, approximately 26,000 years ago. They were a "Franco-Cantabrian" area roughly coinciding with northern Spain/southern France, and a "Periglacial province" on the Ukrainian plains. Archeologists have uncovered evidence of pre-farming people living in the Burren more than 6,000 years ago — one of the oldest habitations ever unearthed in Ireland. Experts have long debated whether the sophisticated animal drawings in a famous French cave are indeed the oldest of their kind in the world, and a study out Monday suggests that yes, they are. The smooth curves and fine details in the paintings of bears, rhinoceroses and horses in the Chauvet cave in southern France's picturesque Ardeche region are so advanced that some scholars thought they dated from 12,000 to 17,000 years ago. That would place them as relics of the Magdalenian culture, in which human ancestors used tools of stone and bone and created increasingly advanced art as time went on. Evidence for a forgotten ancient language which dates back more than 2,500 years, to the time of the Assyrian Empire, has been found by archaeologists working in Turkey. Researchers working at Ziyaret Tepe, the probable site of the ancient Assyrian city of Tušhan, believe that the language may have been spoken by deportees originally from the Zagros Mountains, on the border of modern-day Iran and Iraq. In keeping with a policy widely practised across the Assyrian Empire, these people may have been forcibly moved from their homeland and resettled in what is now south-east Turkey, where they would have been set to work building the new frontier city and farming its hinterland. Anthropology professor Andrew Nelson places a 5,000-year-old cuneiform clay tablet into the new microCT scanner at the Sustainable Archaeology Repository, located at the Western-based Museum of Ontario Archaeology. Gently cradling a 5,000-year-old cuneiform clay tablet from Ur (modern day Iraq), Andrew Nelson wishes he could peel back the layers to find out what makes up this first-generation iPad. And thanks to a new microCT scanner at Western’s Sustainable Archaeology Repository (SAR), the Anthropology professor has done just that. “Imaging is a signature strength at Western, and that ranges from clinical imaging to the microCT imaging facilities down at Robarts (Research Institute). Western has established this as a No. 1 place for CT imaging,” said Nelson, adding he knows of only one similar microCT unit, located at National Research Council in Montreal. Western’s scanner is the only one dedicated strictly to archaeological research. 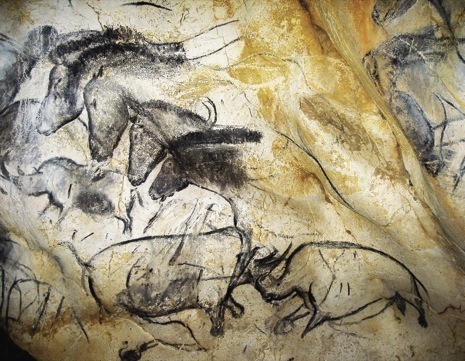 The prehistoric rock paintings of bears and horses in France’s Chauvet cave are more than 30,000 years old, new radiocarbon dating evidence has shown, confirming that the well-preserved cave art is the most ancient and most elaborate of its kind. A large neonate brain, rapid brain growth and large frontal lobes are the typical hallmarks of human brain development. These appeared much earlier in the hominin family tree than was originally thought, as anthropologists from the University of Zurich who re-examined the Taung child’s fossil cranial sutures and compared them with other fossil skulls now prove. The late fusion of the cranial sutures in the Taung child is also found in many other members of the Australopithecus africanus species and the earliest examples of the Homo genus. The Australopithecus child’s skull discovered in Taung in 1924 is an icon of human evolution. Of the neurocranium, the fossilized sediment filling has survived. The imprints of the original cerebral gyri on this rock core have fascinated paleoanthropologists from the outset and triggered much debate on the evolution of the Australopithecus brain. The Czech Archaeological Society (ČSP) has announced the discovery of the remains of houses dating back more than 7,500 years in the Prague district of Bubeneč, along with a burial site there that is about half as old. “We have managed to unearth impressions of wooden supporting structures of so-called long houses, typical of the Neolithic period,” said ČSP director and researcher Radek Balý, as cited by the Czech state news agency ČTK. Long houses are typical of the Linear Pottery culture in much of Europe at the time. Scott obtained samples of dental calculus from 58 skeletons buried in the Cathedral of Santa Maria in northern Spain dating from the 11th to 19th centuries to conduct research on the diet of this ancient population. After his first methodology met with mixed results, he decided to send five samples of dental calculus to Poulson at the University's Stable Isotope Lab, in the off chance they might contain enough carbon and nitrogen to allow them to estimate stable isotope ratios. Scientists examining the remains of "Otzi," Italy's prehistoric iceman who roamed the Alps some 5,300 years ago, said on Wednesday they have isolated what are believed to be the oldest traces of human blood ever found. The German and Italian scientists said they used an atomic force microscope to examine tissue sections from a wound caused by an arrow that killed the Copper Age man, who was found frozen in a glacier, and from a laceration on his right hand. "They really looked similar to modern-day blood samples," said Professor Albert Zink, 46, the German head of the Institute for Mummies and the Iceman at the European Academy in Bolzano, the capital of Italy's German-speaking Alto-Adige region. "So far, this is the clearest evidence of the oldest blood cells," he said by telephone, adding that the new technique might now be used to examine mummies from Egypt. A Bronze Age folding chair found in northern Germany and now in Hamburg's Helms Museum. Beside a slab of trilobites, in a quiet corner of Britain's Oxford University Museum of Natural History, lies a collection of ochre-tinted human bones known as the Red Lady of Paviland. In 1823, palaeontologist William Buckland painstakingly removed the fossils from a cave in Wales, and discovered ivory rods, shell beads and other ornaments in the vicinity. He concluded that they belonged to a Roman-era witch or prostitute. “He did a good job of excavating, but he interpreted it totally wrong,” says Tom Higham, a 46-year-old archaeological scientist at the University of Oxford's Radiocarbon Accelerator Unit. Buckland's immediate successors did a little better. They determined that the Red Lady was in fact a man, and that the ornaments resembled those found at much older sites in continental Europe. Then, in the twentieth century, carbon dating found the bones to be about 22,000 years old1 and, later, 30,000 years old2 — even though much of Britain was encased in ice and seemingly uninhabitable for part of that time. When Higham eventually got the bones, his team came up with a more likely scenario: they were closer to 33,000 years old and one of the earliest examples of ceremonial burial in Western Europe. 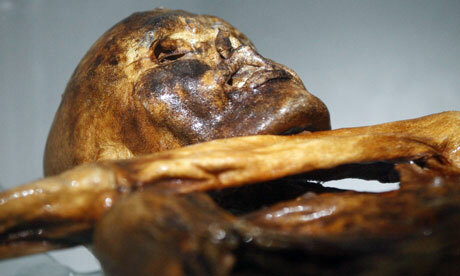 As cold cases go, it does not get much colder than Ötzi the Iceman, whose body was found frozen solid in the Italian Alps 5,300 years after he died from an arrow wound. Since he was discovered by trekkers in 1991, scientists have mapped his DNA and figured out everything from what ailments he suffered from (Lyme disease and a weak heart) to the last meal he ate (venison and ibex) before he was shot in the back, probably by an enemy tribesman. 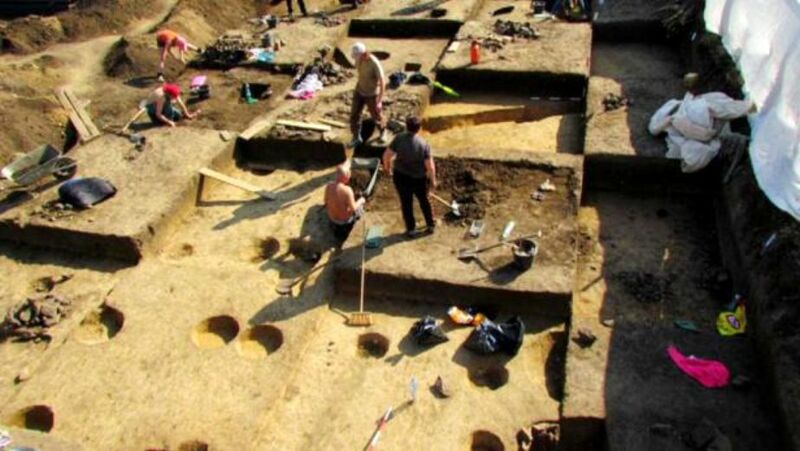 Archaeologists working along the route of Bulgaria’s Struma Motorway, which when completed will lead from capital city Sofia to the Greek border, have found a necropolis estimated to date back about 2800 years, public broadcaster Bulgarian National Television said on May 1 2012. For the archaeologists, the site has presented more questions than answers, with those working on the site surprised not only by the size of the necropolis but also by the long period during which it was in use. Two ancient settlements had been found nearby, which could explain the large scale of the burial place, the report said. Archaeologist Filip Mihailov was quoted as saying that the remains of the dead had been disposed on the site after cremation, and it was also probable that remains had been placed in clay urns. The oldest red blood cells ever identified have been found in the body of Ötzi the Iceman, a 5,300-year-old mummy found in the Alps in 1991. The bloody find is a first for Ötzi's mummy, which has been under scientific scrutiny since a pair of hikers stumbled over the body frozen in ice on the Austrian-Italian border. And the new research, published today (May 1) in the Journal of the Royal Society Interface, helps confirm the story of Ötzi's death. 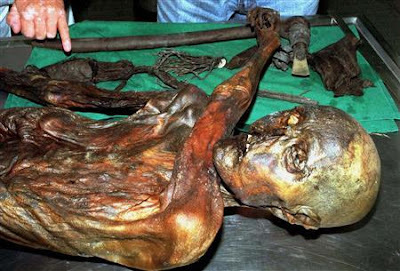 The Iceman was so well preserved that scientists could estimate his age (about 45), his health, his last meals (they included red deer meat with herb bread) and even his probable cause of death, an arrow wound to the shoulder that sliced an artery. But no one had ever found blood cells in the ancient man's corpse. Dr. Eduard Egarter-Vigl (left) and Dr. Albert Zink (right) taking a sample from the Iceman in November 2010. Archaeologists said the results of the special scans were "extraordinarily exciting" and that they were now looking forward to the items being analysed by experts all over the country. Last August, the Dartmoor National Park Authority decided to investigate the contents of a stone cist in a peat mound at Whitehorse Hill because the ancient structure was threatened by erosion. When they lifted the stones they discovered the burial, which consists of the cremated remains of one person, a leather bag with a textile top, a woven basket-type bag, some kind of animal pelt, an as-yet unidentified "matted object" and two pieces of hazel wood. Jane Marchand, the authority's senior archaeologist, said the scans – carried out by a team from Wiltshire Council's Conservation Service – had revealed that there was a lot more at the site than previously thought. 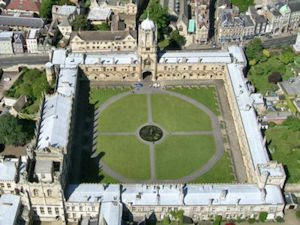 The University of Oxford's online courses in archaeology for Trinity term are now open for enrolment. "Cave paintings, castles and pyramids, Neanderthals, Romans and Vikings - archaeology is about the excitement of discovery, finding out about our ancestors, exploring landscape through time, piecing together puzzles of the past from material remains. "Our courses enable you to experience all this through online archaeological resources based on primary evidence from excavations and artefacts and from complex scientific processes and current thinking. Together with guided reading, discussion and activities you can experience how archaeologists work today to increase our knowledge of people and societies from the past." Caractacus: Britain's Osama bin Laden? The second of May marks the first anniversary of the death of Osama bin Laden. I've been away for five months, writing a book about Roman Britain, and, while the orchestrator of 9/11 hasn't exactly been at the front of my thoughts, he did come to mind because of something that Mary Beard said in a book review in the Sunday Times the other week. The book in question was Sam Moorhouse and David Studdard's excellent The Romans Who Shaped Britain, and Beard's memorable aperçu was: "Britain was Rome's Afghanistan". Like any such neat phrase, of course it's too neat. And yet, as soon as I read it, I could see what she meant: Britain was a thorn in the side for Rome, requiring a disproportionate number of troops and proving a huge struggle to properly subdue. It wasn't fully conquered until nearly 40 years after the initial invasion, when Agricola won the Battle of Mons Graupius in northern Scotland; and even then the Highlands were let go almost at once. But I couldn't help too being reminded of Caractacus, the Iron Age British leader who fought against the Romans in AD 43 and, despite being assiduously pursued by the Roman war machine, managed to slip away from their grasp, head west, and hold out for seven years in his lair in the Welsh mountains, orchestrating resistance. When finally the Romans caught up with him – defeating him in battle at a north-Wales hillfort – he managed to slip away again, and sought refuge with the northern English Brigantes tribe. Which was a bad idea: Queen Cartimandua, a Roman ally, handed him over to the Romans.